Once February is out of the way, you know that things are looking up. 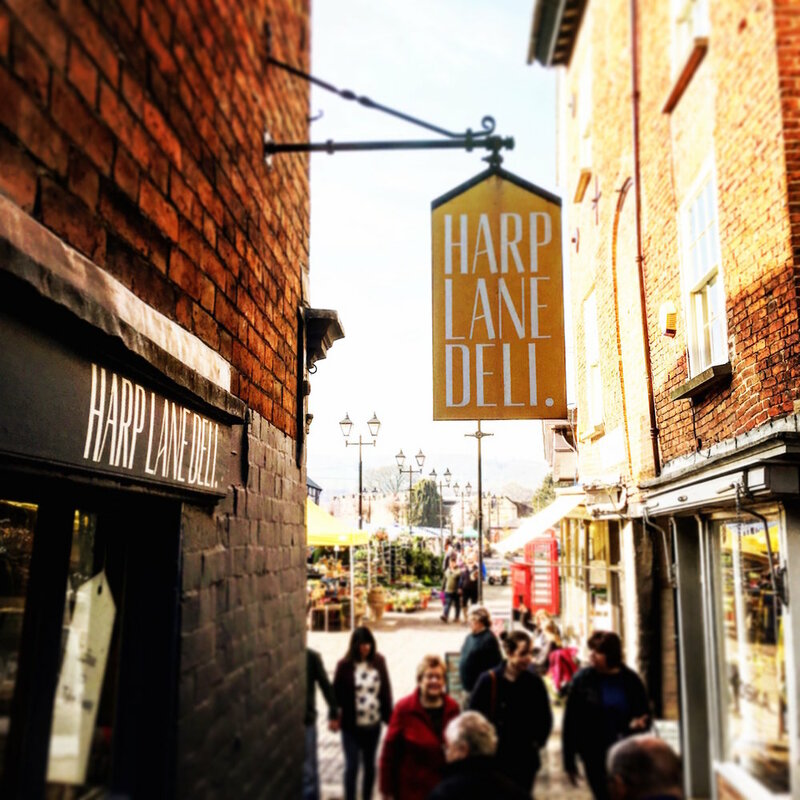 Those first two months of the year – Dryanuary, Veganuary - whatever you call them, are the absolute pits for us here at Harp Lane Deli. Why on earth anyone should want to go sober and / or flipping vegan during the two most dismal months of the year is beyond me. Save it for one of the good months, I say. Why pile misery upon misery? Anyway, it’s March so it’s all fine now. As far as I’m concerned March means that spring has sprung, but it’s still a bummer of a month despite all its Ides, mad hares and whatnot. In fact we all know that spring rarely gets going until June, which in my head is actually the first month of summer, but this is by the by. And anyway, with the B-word perpetually hanging over us like the sword of Damocles no-one has the faintest clue what’s going on, let alone about the vagaries of the seasons. During the first quarter of the year we clean, and we clean some more. We repaint, regroup, reassess, sort out the VAT, pay the Christmas invoices, and then we clean again. Occasionally we may even get the odd customer, but we (quite literally) don’t bank on it. One of the more pleasurable tasks to be carried out at this time of year is the sourcing of new products and suppliers. It would be very easy for us to fill our shelves from the pages of a wholesale catalogue (and inevitably this is how we procure some of our stuff): but what sets shops like this apart from the big boys – and indeed some of the less imaginative independents – is that we have a personal relationship with many of our suppliers. Not only does this make our working lives a bit more jolly, but more importantly it means that we’re able to understand our products and pass on this knowledge to our customers. After all, if we can’t get enthusiastic about the things that we sell, how on earth can we expect you to? So, throughout these dull months we order samples from potential new suppliers (a word of advice by the way to anyone considering supplying tasty things to independent food retailers, always send samples), we arrange meetings, we catch up with existing suppliers. There are trade shows, and maybe a pub lunch or two with the cheese man or the wine guy. There might be the odd research trip too, which involves snooping around in other people’s shops (Bristol and London are always good hunting grounds) and ‘borrowing’ ideas. Whilst this is a fun and enlightening exercise, it’s also hugely important because Ludlow can become a claustrophobic place at times, and it’s frighteningly easy to become a complacent fish in a small pond. And so life at Harp Lane continues in its cyclical and familiar way. The last of the Vacherin Mont d’Or (the great Alpine winter cheese) has gone, and jars of daffs adorn the deli. Easter is just around the corner, the chocolate chicks and eggs are on their way. Winter is surely behind us now. Hope (and spring) springs eternal.